Few things motivate a gardener the way that getting a plant ahead of another gardener does; and by the end of August we need motivation more than we need food and water. To that end, I would like to draw your attention to the random assortment of bulb catalogs that started showing up two months ago, and which you stashed by the bedside table in an effort to tidy up the front room. A Rembrandt-type tulip in a California garden. Pull out your Sharpie. The time is now. Quite frankly, the time was actually two months ago, but unless you are the curator of a public garden or are paid to bring Shock and Awe to the spring display of a private one, the chances are you’ve been too caught up with the present garden to think much about the future one. August changes all that. It’s hard to think of anything but the future garden. Don’t just settle for the withered assembly line assortment you’ll soon see showing up in big bags at the Big Boxes. It’s time to fight for those high-end species tulips, the tropical ridiculousness of foxtail lilies, and a glimpse of naked ladies in the shrubbery. It’s time to order the fun, the rare, the exotic, and the lusted after. And it’s time to do so before you are forced, once again, to stand in someone else’s garden in front of someone else’s spectacular find, and with a wince and a grimace, tell them how beautiful it is. Tulipa clusiana var. chrysantha interplanted with woodland phlox in a Maryland garden. 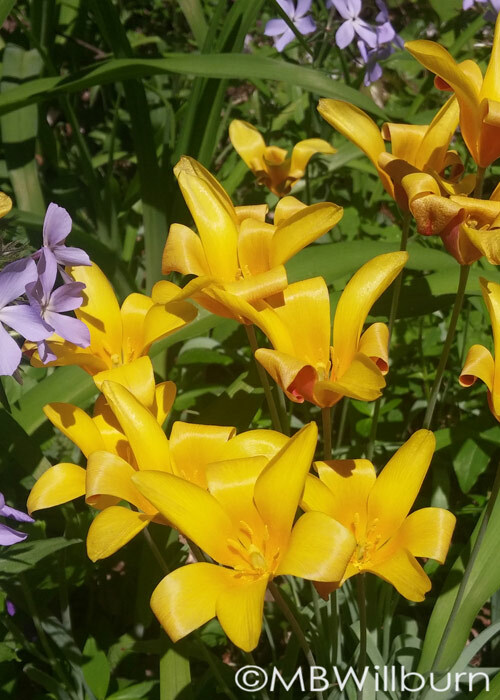 I’ll be planting a few bags of later-flowering daffodils to supplement the early spring show, but this year my wish list will tiptoe through some tulip species such as the (hopefully) perennial T. clusiana (var. chrysantha & ‘Tubergen’s Gem’) and the later T. kauffmaniana. Perhaps others as the mood takes me. These exquisite Middle East natives desire the conditions I have spent all summer trying to create in my California Bed: dryish gritty soil with good sun exposure and great drainage. Unfortunately, the voles desire tulips like my children desire burgers. Wire baskets will be called for. 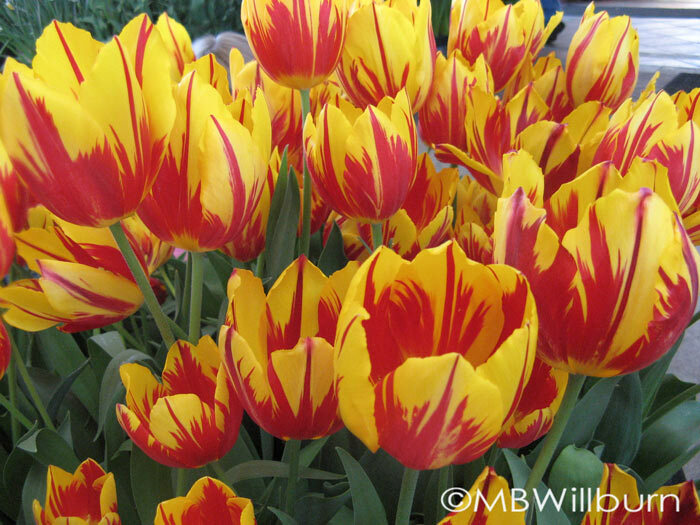 I’d like to play with some lily-flowered tulips as well, and may try ‘Marianne’ – a study in pastels of rose and gold. I always thought of myself more as a ‘Firewings,’ but vanity will not allow me to pass up a bulb with my name on it. 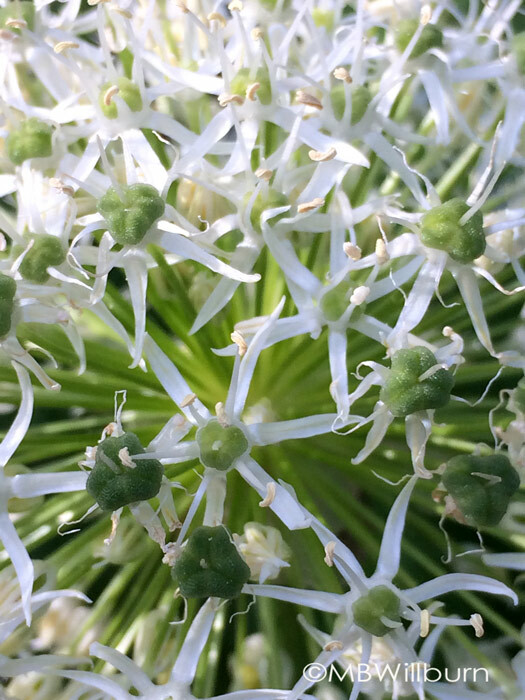 Almost more than the tulips this year, I am desirous of several allium that have attracted my attention over time (but not, to this point, my purchasing power). I am not embarrassed to admit that I have preferred instead to plant great masses of architectural eye-pop than to treat myself to just a few rarer specimens. However, now that the Globemasters and Purple Sensations and Mount Everests have popped their share of eyes, I’m ready to expand. 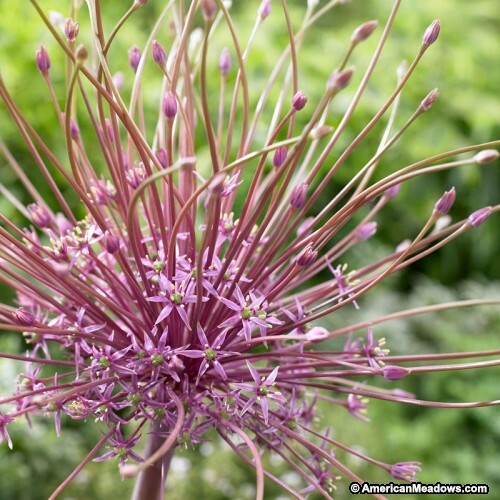 Allium christopii is on the list, followed by A. schubertii. Both are violet starbursts in the garden. The structure of A. schubertii in particular borders on the unnatural and reminds me of a particularly fine piece of Chihuly glass. 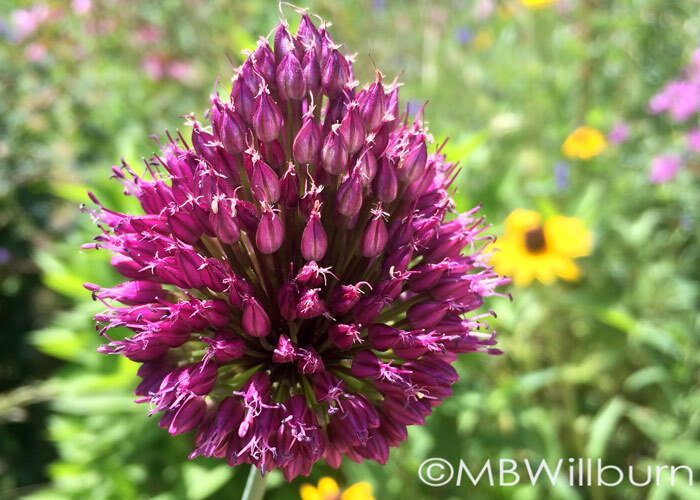 I’m ordering A. sphaerocephalon (the drumstick allium) in a classic reaction to this summer’s theme tune ‘Why is this lovely thing in someone else’s garden and not mine?’ and ‘Millenium’ allium as it has just won the Perennial Plant Association’s highest honor for 2018, and I’m so tired of singing that particular theme tune. 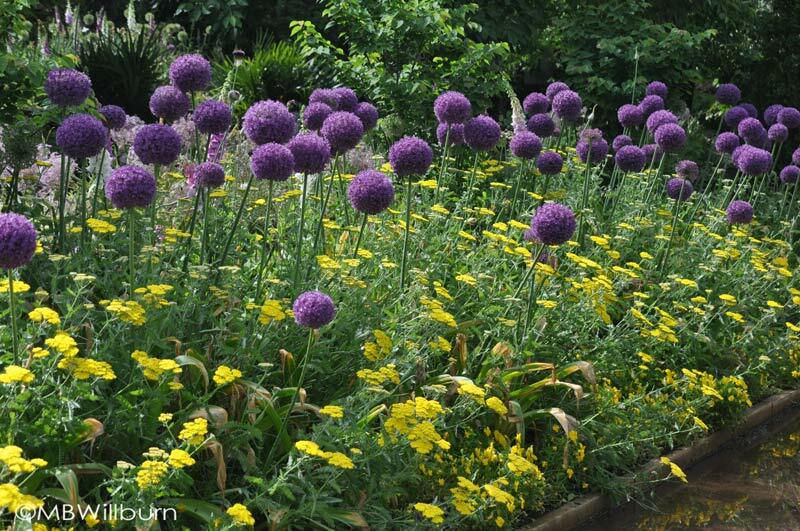 And, if there are any larger pennies left at the end of this allium spree, I’ll buy A. senescens strictly upon the words of the late writer Allen Lacy who, in his letters to Montrose’s Nancy Goodwin, found it not to be without. Throw in a couple holiday amaryllis (hippeastrum) in festive colors, and I think that’s about all I’ve got the energy to cope with. Of course, the critical part of this equation for both you and me is: do we have space for it and will we have the energy to plant it? 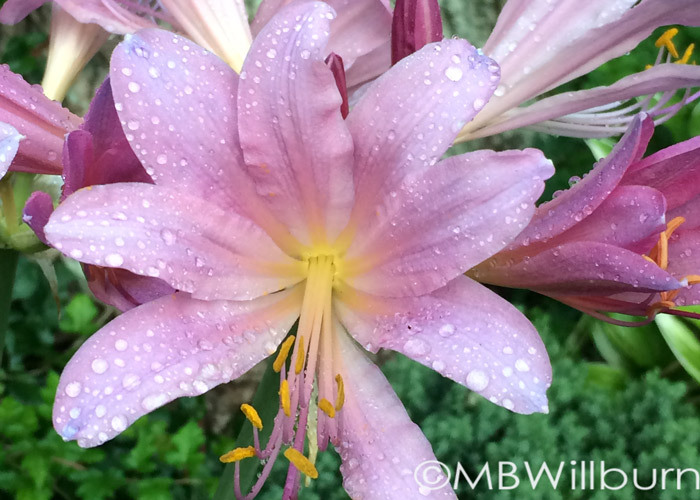 Bulbs start shipping in mid September. We need to know where they’ll be going or we’ll have some very expensive garage clutter on our hands come February. I don’t know about you, but I’m going to build up energy stores by ignoring a few pressing matters elsewhere, and plant bulbs when fall has well and truly fallen. If you’re looking for great sources, may I suggest Brent and Becky’s Bulbs for their quality, enthusiasm and customer service; Color Blends for their easy to read print catalogs, cool blends and handy early/mid/late meter; American Meadows & High Country Gardens for their online ease; and EdensBlooms, for when you’ve got your mind on a rarity and you just need a source. Want to go rarer than that and have a snug greenhouse that can house warm climate bulbs during cruel Mid-Atlantic winters? Telos Rare Bulbs is your source, but sadly not mine. If you write and tell me what you ordered, I will feign happiness for you in an effusive email and then secretly add it to the list of grievances to be read during Festivus this year. Send a smug picture of your greenhouse and I’ll add you to the list instead. But I digress. Van Engelen or John Scheepers are also great companies with a good reputation and an excellent selection. The time is now. Let us not harbor regrets. And while we’re at it, let’s not throw money at someone else’s wish list. Wicked grins and plant one-upmanship aside, if there’s a bulb you’d like to grow, grow it. If it doesn’t turn you on, don’t. Life is too short to grow what other people are telling you you should. P.S. I’m only sharing the above because I know I can get them ordered before you read this. Ready. Set. Done.